For the fourth consecutive occasion the case filed against Gampaha District Parliamentarian Prasanna Ranatunga and his wife was today re-fixed for trial by Colombo High Court. Accordingly, the case is to be heard on a day-to-day basis commencing from October 26. When the case came up before Colombo Chief High Court Judge Manilal Waidyatillek, defence counsel sought a new trial date citing that his client wants to attend parliament sessions. Defence Counsel Anil Silva PC appearing for Prasanna Ranatunga tendered a letter issued by Secretary General of Parliament in order to confirm the necessity of his client being in Parliament. However, Deputy Solicitor General Thusith Mudalige appearing for the Attorney General moved Court that the trial be proceeded in the absence of Prasanna Ranatunga while permitting him to attend parliament sessions. DSG Mudalige further submitted to Court that defence counsel can defend his client during the trial. This case had been fixed for trial on four occasions (October 7 last year, January 26 this year, May 23 this year and August 23 this year) for various reasons. When the case was taken up for trial today around 45 witnesses were present in court. The case is to be taken up as a calling date on October 9 and first and second witnesses were advised to appear in Court next calling date. Other witnesses were advised to come before Court upon receiving notices. 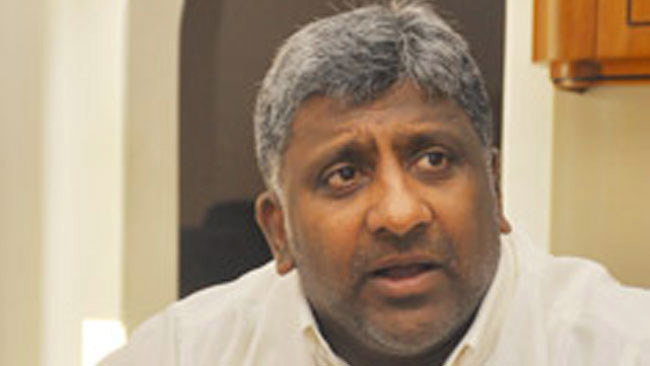 The Attorney General (AG) had filed indictments against former Western Province Chief Minister Prasanna Ranatunga, his wife Maureen Ranatunga and another person on the charge of threatening a businessman over the phone and demanding Rs.64 million. At a previous occasion, Colombo High Court decided to proceed the trial against Gampaha District Parliamentarian Prasanna Ranatunga and his wife in absentia of third accused Naresh Kumar Fareek who was evading Courts since the beginning of investigations. MP Prasanna Ranatunga and his wife are currently out on bail. The Attorney General filed indictments on 15 counts against three accused Prasanna Ranatunga, Maureen Ranatunga and Naresh Kumar Fareek based on charges of committing offences during the period between April 6, 2015 and June 2, 2015. In addition, the AG has named 65 witnesses and included 35 articles as Court’s productions against three accused in this case. The prosecutors maintained that businessman Gehard Mendis who purchased a 2.5 acre land in Meethotamulla sometime back had allegedly requested the former Chief Minister to evacuate the unlawful occupants of that land and fill it with soil. The prosecutors alleged that the former Chief Minister’s wife along with two others had entered into an agreement with the businessman and the latter had already paid Rs.15 million to the former for the services. The businessman Gehard Mendis had lodged a complaint with FCID saying that the former Chief Minister had threatened him over the phone demanding the rest of the money involved in a promised deal. The prosecution maintained that the investigations have revealed that the accused had misappropriated a sum of Rs.15 million and the voice recordings of the alleged incident had been listed as a production item. Deputy Solicitor General Thusith Mudalige appeared for the Attorney General. President's Counsel Anil Silva appeared for the accused.